The knowledge of solid-liquid equilibria (SLE) is important in many fields of industrial chemistry (e.g. 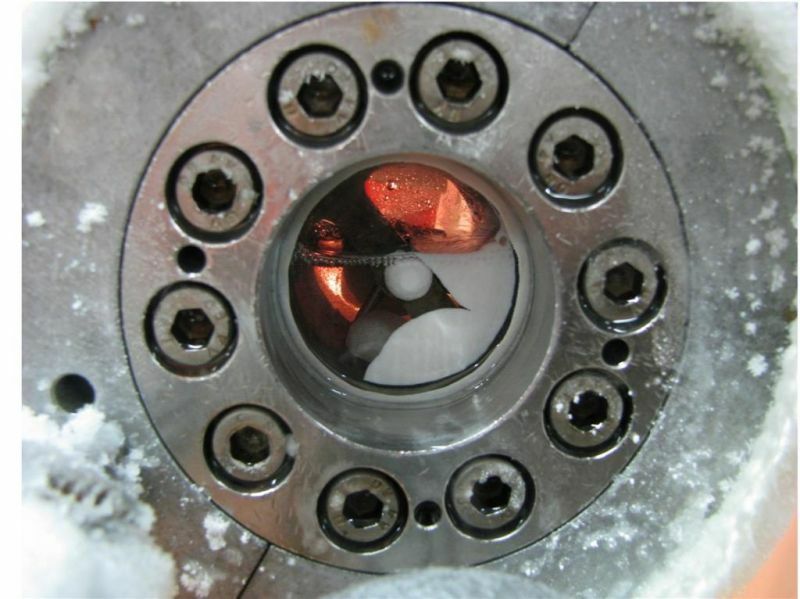 design of crystallization processes, safe operation of pipelines,...). For the development of thermodynamic models SLE data deliver information at low temperatures in order to ensure reliable temperature dependent model parameters. With the help of the group contribution method modified UNIFAC (Dortmund) it is possible to estimate (besides VLE, hE, LLE, and γ∞) also SLE data of eutectic mixtures with a high accuracy. This means that the model can be used for interesting problems like the selection of suitable solvents for extractive crystallization processes. Different methods of SLE-measurement are available. For most problems the synthetic visual method is used. Alternatively, a calorimeter can be applied to detect the SLE.